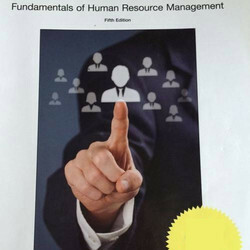 Owing to our in-depth knowledge of this domain, we are specialized in providing Recruitment Service. We render this service by keeping the preference of clients in mind. We provide Hospitality Recruitment Services that aim on building long lasting relationships with our clients. Thereby, we follow a process of searching, selecting and recruiting professionals who fulfill the requirements and allow us provide great hospitality solutions. This overall growth in the tourism sector has directly led to the rise in hotel and restaurant sectors too. 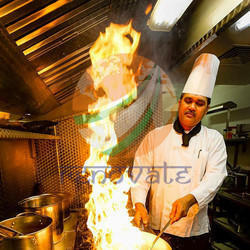 In order to cater the rising need of these hotels and restaurant, we at Renovate Career Management Services, provide services like hotel staffing and recruitment, restaurant staffing and recruitment, manpower services, human resource services, online portal services, even architects or interior designers, and for many other designations on a large scale. There has been a significant rise even for travel and tourism agencies and for tour guides as well. In line with clients' variegated requirements, we bring forth a distinguished Hotel Staff Recruitment Service. We provide well-qualified chefs to hotels, restaurants, corporate offices and other similar places as per the precise needs of our valuable clients. Our chefs are experienced to cook mouth-watering dishes from a wide array of cuisines maintaining proper hygienic standards. These services are widely acclaimed by our clients for their cost-effectiveness. Further, these services can be availed by our clients at a most affordable price. Hotel Chef Recruitment Service was our first step as a startup and is still one of the prominent team of our Firm. Our Aim is to bring Perfect Solutions and Services TO YOU, By filling in the positions with potential candidates -Which is a vivid manifestation of the Quality Services we provide to our clients. We play vital role for companies that are looking for Right Recruits to carry out their daily and executive functions of a company.We as a firm, work together 24*7 to fulfill the client's requisition. Here at Renovate Career Management Services, We are the binding bridge between the demand for Human Resources and Service demand from clients and Providing them with candidates with a promising work experience. Before reaching out to the clients with the perfect candidate our recruiters make sure that their Resumes are authentic and they are rightfully suitable as per the requirements of our clients . We at Hotel Chef Recruitment Service make sure to keep up with fastest changing environment with one of the finest and skilled recruiters of all the time. Our Staff Recruitment Services are well connected, dynamic and experienced in the industry. They intricately understand the banking and finance marketplace and have successfully fulfilled the vacancies throughout the nation and abroad. We have chosen our office locations in prime cities, offering global opportunities to the corporates as well as the candidates. Our clients consist of major investment banks, corporate commercial banks, investment houses, business groups and rating agencies.